Lolli has a Masters degree in Human Nutrition from Winthrop University. 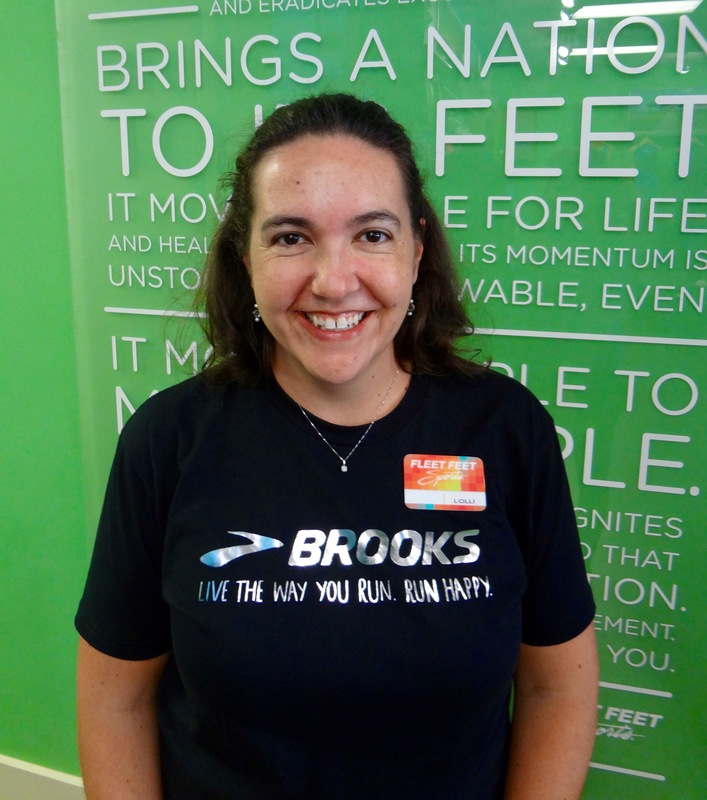 She was first introduced to Fleet Feet at Another Mother Runner event, which evolved into participation in our No Boundaries program at our Fleet Feet Summerville store. After seeing the impact Fleet Feet had in her and her husband's lives and within the community, Lolli joined the team! Lolli is our Community Outreach Coordinator for both stores and can been found around town at health fairs, community events and educational clinics. She is passionate about sharing Fleet Feet's commitment to helping the community find their FIT to be successful in any activity they choose! When she is not working, Lolli can be found training with the 1/2 marathon group, cooking or baking (especially custom cakes). She loves spending time with her husband and 2 boys and is passionate about college football.